A couple of months ago, Ohio Senator Sherrod Brown visited our hospital to do a press announcement about legislation that he and Senator John McCain were sponsoring. After the formal event, I spent a few minutes speaking with Senator Brown. I was telling him about how we had seen a decrease in our emergency department visits ever since Ohio enacted Medicaid expansion. He challenged me by saying that the published data did not support the contention that Medicaid expansion reduces ER visits and in fact, some literature suggested just the opposite, that states that participated in Medicaid expansion actually saw an increase in ER visits. 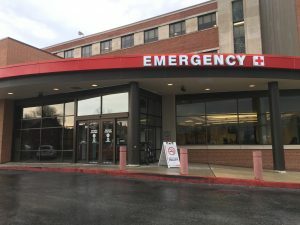 My explanation was that our ER was different in that we had an extremely high percentage of uninsured patients prior to Medicaid expansion, our hospital is in what was previously a “primary care desert”, and that since Medicaid expansion, we have greatly increased our primary care footprint in the neighborhood. Senator Brown remained skeptical but the next week, I got a handwritten note from him thanking me for my comments and telling me that it was a good conversation. I’ll preface this post by letting you know that I’m politically ambidextrous – I’m not registered with either political party and vote for whoever I think is the best candidate for an office, regardless of party affiliation. Over the past 25 years, we have had unbelievably great Senators: John Glenn, Mike DeWine, George Voinovich, Sherrod Brown and Rob Portman. Prior to October, I had never met Senator Brown but I found him highly intelligent and very quick thinking – he won me over. So, after our meeting, I started questioning my own observations. And then the recent Ohio Medicaid Group VIII Assessment: Report to the General Assembly was released and it validated our hospital’s recent experience. Ohio’s governor, John Kasich, enacted Medicaid expansion in January 2014. Prior to that time, our hospital’s uninsured rate (for admitted patients) was about 12.5%. That means that we didn’t get paid for 1 out of every 8 patients admitted to our hospital. The uninsured rate in our ER was even worse. It was bad for us as doctors to not get paid for providing medical services, but it was even worse for the patients. Most of them could not afford the medications that were prescribed in the ER and most of them did not have access to primary care physicians for basic preventive care. So, for example, if a patient came into the ER with a severe asthma exacerbation and we stabilized them with nebulizer treatments and some IV steroids, they couldn’t afford the inhaler prescription that they got (average about $300/inhaler) and so they bounced back in a week and then became unemployable because of work absences. After Medicaid expansion, our hospital’s admitted patient uninsured rate fell to 2.3%. That’s huge. 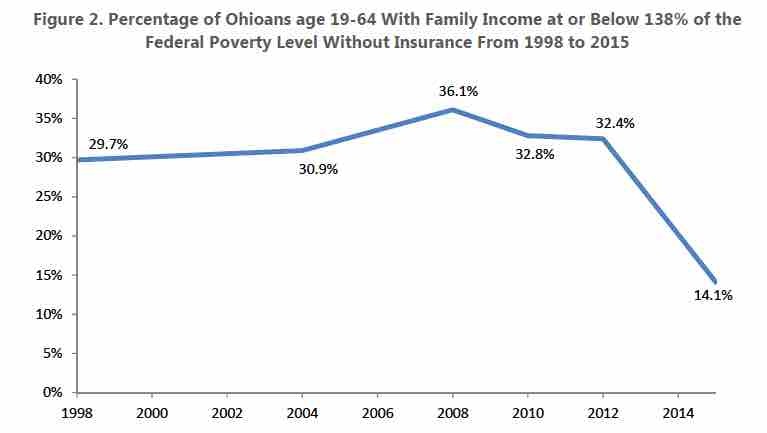 And the percent of poor Ohioans without insurance dropped from 32% to 14%. However, since 2014, we saw a funny thing in our monthly financial reports. Our emergency department visits started to drop. OSU purchased our hospital in 1999 and we had seen a steady and striking increase in ER visits from 1999 through 2013 – we had projected and budgeted for a continued increase so this was a bit alarming. But although our ER visits fell off, the number of emergency squad arrivals per day were continuing to increase and the number of hospital admissions through the ER continued to increase. This means that we were continuing to see more of the sicker patients but we were seeing fewer of the less sick patients, the so-called “treat and release” patients. My belief had been that we were getting more of these patients into Medicaid coverage so that they could fill their prescriptions and get non-emergent care at less expensive primary care physician locations that they now had access to. The newly released Ohio Medicaid Group VIII Assessment report now shows that what we have observed is real – that Medicaid expansion has reduced ER visits. 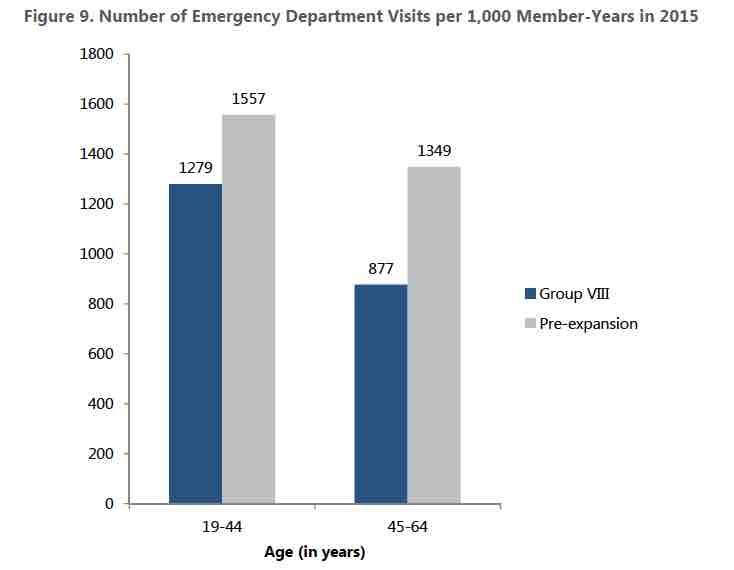 For adults between 19 and 44 years old, ER use dropped from 1,557 to 1,279 per 100,000 – an 18% reduction. For adults between 45 and 64 years old, ER use dropped from 1,349 to 877 per 100,000 – a 35% reduction. 43% of Ohioans in Medicaid expansion reported a decrease in unmet health needs and only 8.3% reported an increase in unmet health needs. 48% reported an improvement in their overall health and only 3.5% reported that their health had worsened. The previously unemployed Ohioans reported that it was easier to look for work now that they had Medicaid coverage and those that had a job said that Medicaid made it easier for them to keep their job. State-wide, 702,000 people are enrolled in Group VIII Medicaid from the Medicaid expansion. In Franklin County, 18.5% of adults under age 65 are enrolled in Medicaid – that is nearly 1 out of every 5 adults. 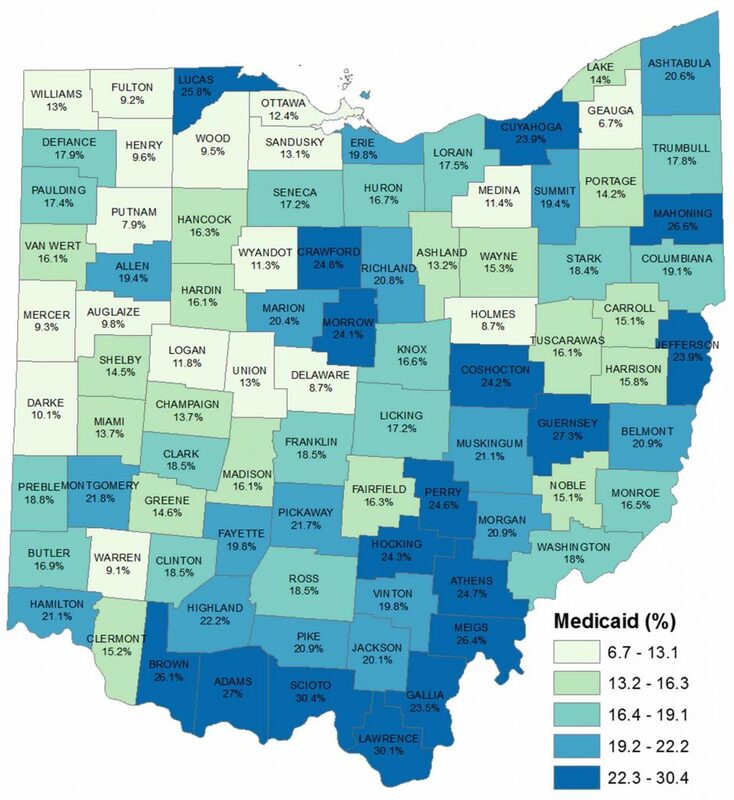 The counties along the Ohio River are even more striking with 25-30% of adults on Medicaid. So what does all of this mean? From the hospital’s perspective, Medicaid expansion is keeping patients out of our emergency department. And for most of these patients, that is a good thing. Emergency rooms are for patients with emergencies and not for patients with minor problems that don’t have any other access to healthcare. Some would argue that Medicaid expansion is excessively expensive and that it needs to be abolished. I would argue that without Medicaid, these same patients would still be getting sick, it is just that they don’t get good treatment for their conditions so rather than being cured of their diseases, their diseases would just smolder – making them perpetually clog up our emergency departments and making them unemployable. When they get sick, our ERs, hospitals, and doctors still have to take care of them on moral, ethical, and legal grounds and so they continue to consume our country’s healthcare resources so we all end up paying for it with higher healthcare costs to everyone else. In the long run, the cost to our society is greater without Medicaid expansion.